Posted By:Unknown | At:5:32 PM Be the first to comment! 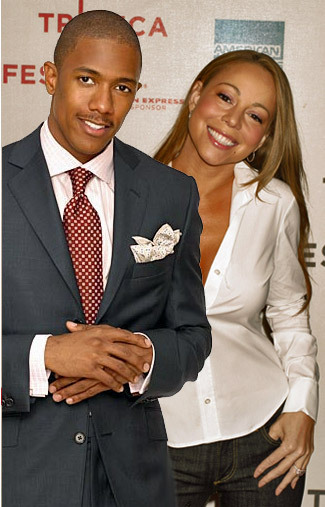 NEW YORK (AP) — Mariah Carey and Nick Cannon celebrated their third anniversary with another milestone — becoming parents to a baby girl and boy. Carey's representative, Cindi Berger, confirmed the births to The Associated Press. The singing superstar gave birth Saturday morning at an undisclosed hospital in Los Angeles. Berger says the baby girl was born first, weighing 5 pounds, 3 ounces, and was 18 inches long; her brother was next, at 5 pounds 6 ounces, and was 19 inches. Berger says the couple has not named the children yet. Cannon drove Carey to the hospital in their Rolls-Royce Phantom. Berger says while Carey was calm, Cannon was so nervous he went the wrong department at the hospital. The couple are expected to renew their wedding vows on Sunday. Berger says they were listening to Carey's "We Belong Together" after the children were born.